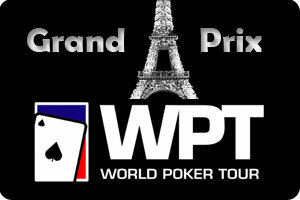 After three days of play, the money bubble has burst at the World Poker Tour Grand Prix de Paris, and the remaining 25 players will be back in action on Wednesday looking to move farther up the pay scale. Day 3 saw 48 players take to the poker tables at the Aviation Club in Paris France, and it wasn’t long before the money bubble burst as Stuart Rutter was eliminated in 28th place –guaranteeing the remaining players some type of compensation for their efforts. Leading the field is Jimmy Ostennson and his 719,000 chips. While the field doesn’t contain much in the way of star-power, there are still a number of strong European poker players in the running. Still in the hunt are: Fabrice Tuil, Steven van Zadelhoff, and Andrew Teng. Day 4 will see the 25 remaining players whittled down to a final table of eight, a change from the usual six player final table which has been a staple of the World Poker Tour. Perhaps the change is to follow the European Poker Tour’s lead, or perhaps to break up the monotony after 9 seasons. This entry was posted on Thursday, May 13th, 2010 at 11:00 am and is filed under Poker News. You can follow any responses to this entry through the RSS 2.0 feed. You can leave a response, or trackback from your own site. Is professional poker the best job in the world?